Palm has reported Apple, to the USB Implementers Forum for improper use of the Vendor ID used to identify devices using the USB interface. This move is a bold statement by Palm given the company’s apparent misuse of Apple’s USB Vendor ID in order to permit iTunes media syncing. Palm announced that it has released WebOS 1.1, it brings an array of new features and improvements to the Palm Pre including restoration of iTunes media syncing. iTunes 8.2.1 stopped unauthorized devices from syncing with iTunes but now with the release of the latest WebOS, Palm has enabled it once again. The iTunes syncing is the latest if a series of incidents between Apple and Palm. Palm hired several formed Apple executives and engineers to lead the company’s turnaround, and Apple has issued threats against Palm regarding intellectual property contained in the iPhone, that has appeared in similar forms in the Palm Pre. The full list of new features available in webOS 1.1 can be found in Palm’s release notes for the update. 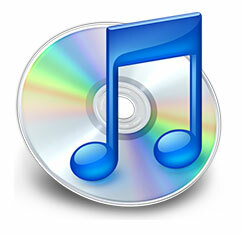 Apple have just released iTunes 8.2.1 earlier today. Apple’s website says the update was to provide “a number of important bug fixes and addresses an issue with verification of Apple devices.” Apparently it also brakes the Palm Pre syncing with iTunes. You can download it through the software update manager or download it here. 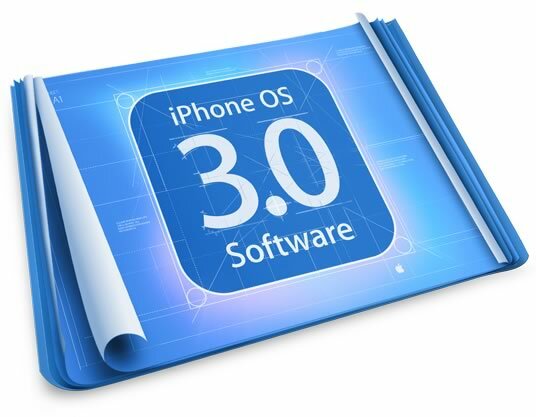 With the vast collection of new features from the new iPhone OS 3.0, also came the vast amount of problems it’ s causing. As a 3.0 user myself I have been affected by some of these, such as the WiFi connectivity issues which have caused hundreds of users problems. The battery life using 3.0, for some has dropped drastically and I have myself seen a bit of a drop in the batteries performance. Destructive video editing on the iPhone 3GS. which Apple has fixed in 3.1. Also some unknown problem with 3.0 which causes the device to over heat and the battery to drop drastically as I experienced whilst using Qik to live stream a video. These are just a few problems that 3.0 users are having and Apple really needs to sort these out, as a lot of people rely on there iPhone to last throughout the day, we don’t want it to be like the Palm Pre do we. Hopefully these will be fixed in 3.1 and anyone using the 3.1 Beta feel free to drop a comment on if any of these problems, or others, have been fixed or even maybe caused by that update. The official iPhone UK carrier O2, have been reported that they are to be the official carriers for the Palm Pre. O2 has always had a strong smartphone market in the UK and with the iPhone and Pre being sold in the same store it will make things a little more interesting. It seems this will be true as the O2 owner Telefonica, reportedly secured global rights to the Pre back in March. So you may have read the earlier post which compared the iPhone and the Palm Pre, but since so many of you commented I’ve decided to make a follow up to that article, however now the iPhone 3GS has been announced it will take the 3G’s place in the comparison. Some of you thought my points didn’t make much sense or didn’t agree with them so here’s a second go round with easier explanation. iPhone 3GS – 3 Megapixel Camera with 30fps VGA Video w/ Auto-Focus & Auto-Macro. Palm Pre – 3 Megapixel Camera with LED Flash and no video as of yet. From a camera stand point the iPhone, is now ahead of the Pre, with the ability to record 30fps VGA Video. Also the iPhone 3GS comes with Auto-Focus & Auto-Macro. The iPhone now has more storage than the Pre and the current 3G has the same storage capacity. Although some find it hard to type on the iPhone’s virtual keyboard, many reviewers who have used a Palm Pre have said the keys are too small and hard for even small fingers and because there is no option for an on-screen keyboard it could be a problem. iPhone 3GS – Up to 9 hours internet surfing, 10 hours of video, 30 hours of audio, 12 hours of 2G talk-time and 5 hours of 3G talk-time. Palm Pre – Many report that the battery can wear down within a few hours so not good for business use. Although the Pre’s battery issue’s could be changed currently at the length it lasts it’s not a contender for business users who need the battery to last all day. As of current, also pointed out at WWDC yesterday, the Palm Pre only has 12 apps for the device, however an app store is in beta at this time so this might change. It’s not fair to compare the phones on app store at this time as the iPhone didn’t have one for a while and the Palm Pre’s just come out. iPhone 3GS – 3.5-inch (diagonal) widescreen Multi-Touch display, 480-by-320-pixel resolution at 163 ppi. 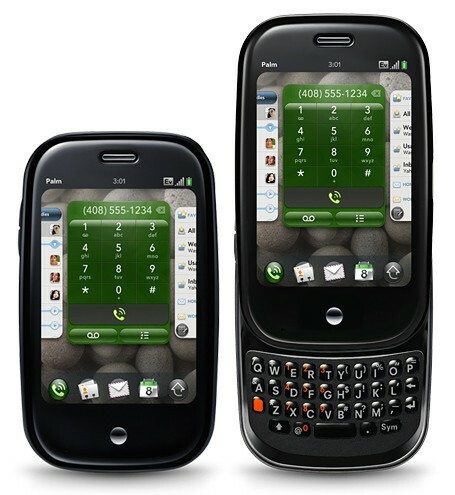 Palm Pre – 3.1-inch touch screen with a vibrant 24-bit color 320×480 resolution HVGA display. The iPhone screen is in fact larger than the Pre, but many say the Pre looks more vibrant. Show off factor, Yes I know in the comments you’ve said how people shouldn’t be impressed by phones but in a lot of cases if you pull out an iPhone people around you want to play on it, not making it any better of a phone but just one of the things that come with the iPhone. iTunes, Yes both devices can sync with iTunes, however the Pre needs a bit of hacking to get it to work, but it provides an instant place for iPhone users to rent and download movies and TV shows along with buying music wherever they go. I’m not saying the Palm Pre isn’t going to challenge the iPhone, of that I’m sure it will but I think that until they sort out the problems at launch, video recording and the app store and it’s battery life, it can’t become a true iPhone competitor. Palm Pre, iPhone Killer? Not Quite. So with the upcoming release of the Palm Pre and the rumoured release of a new iPhone following WWDC. People are saying that the Palm Pre, is the iPhone killer. Over the last few years touchscreen devices has become very mainstream and most brands have their touchscreen phone, however none of them have come close to what the iPhone has done to the market. However even with the Palms quicker CPU and sleek design with a physical QWERTY keyboard, here are the reasons that the Palm Pre will not kill the iPhone. The App Store, with over 1 Billion downloads since it’s launch there has never been a mobile software store like it. Games, you may not think it but the iPhone is considered a gaming platform as well as a Phone, due to the App Store and the works of the likes of Electronic Arts, the iPhone have some high quality games. However at current standing the Palm Pre has no games and unless Palm allow deeper access to their SDK, developers will struggle. Show off factor, Yes it may seem a strange thing to compare but if you pull an iPhone out people are drawn to it, they want to see the Apps they’ve seen on TV and heard everyone talk about, but with the Palm Pre people will just assume it’s just another touchscreen phone. The Palm Pre does come with a 3 Megapixel camera with LED flash but for most people who own an iPhone 2 Megapixels works fine. Easy typing, this is only true for some people but I now find it a lot easier to type on an iPhone keyboard than a normal mobile phone, however with a QWERTY keyboard it may be easier but the keys look small and aren’t as adaptable as the iPhone’s on-screen keyboard. iTunes, Yes some love it and some hate it, but it gives users an easy well to purchase new music on the go and a central place for all their media. Those are just a few reasons that I believe the Palm Pre will not kill the Apple iPhone, it may give a bit of a go at it, but overall the iPhone will remain at the head of it’s market, majority because of the App Store and the 1000’s of Apps.